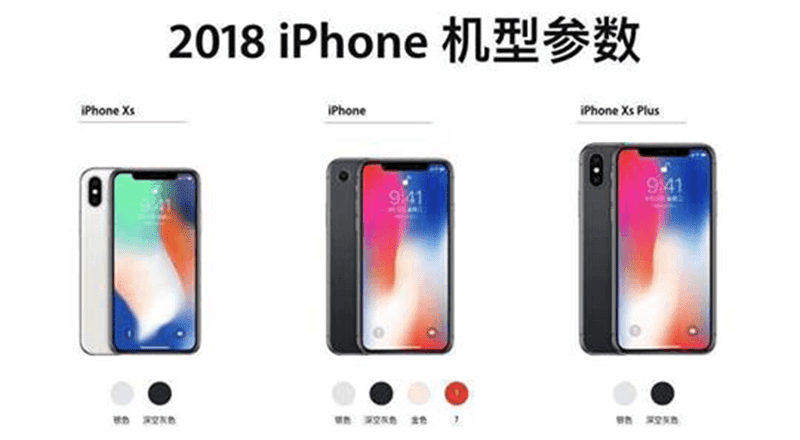 Alleged Apple iPhone 2018 renders and specs leak! Home / apple / leaks / mobile / Alleged Apple iPhone 2018 renders and specs leak! We just got the alleged leaked press renders of Apple's 2018 series of the iPhone. There will be 3 models, the iPhone Xs, iPhone, and iPhone Xs Plus. 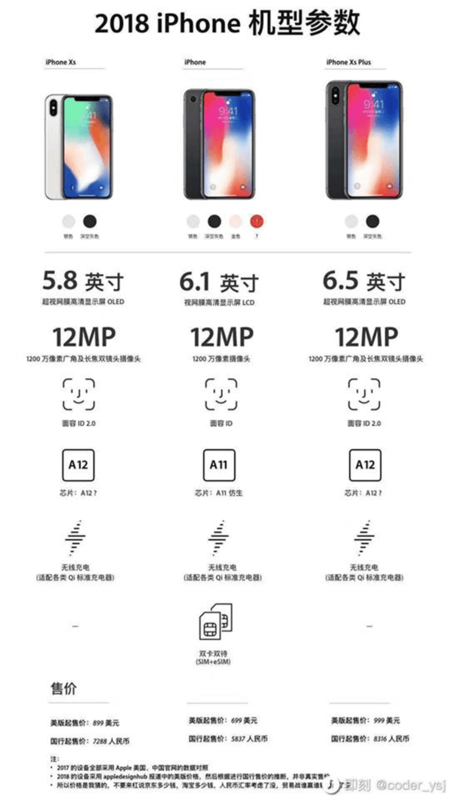 The press renders we obtained from China also included some of the key specs and features of the above-mentioned smartphones. First is the iPhone Xs. It will feature a 5.8-inch OLED panel and A12 SoC inside. It will also come with fast Qi wireless charging and a 12MP dual camera. It will also sport the Face ID 2.0 technology. Next is the iPhone. It is just dubbed as the iPhone according to the leak. But this certain iPhone could be the first smartphone of Apple with dual SIM (SIM + eSIM). It will come with a 6.1-inch LCD with A11 chip, fast Qi wireless charging, 12MP dual cameras, and the older Face ID tech. Last is the iPhone Xs Plus. It boasts a massive 6.5-inch OLED screen, A12 processor, fast Qi wireless charging, 12MP dual cameras, and the Face ID 2.0 tech. We can't understand the rest of the shared info yet as it is written in Chinese. Apple could announced the new iPhones with second or third week of September 2018. The leak looks legit, but let us still take it with a pinch of salt until anything official is disclosed. Stay tuned for the rest of the missing details soon.